A side or large piece of cured salmon is a great standby to have in the fridge – simply slice off a few pieces to have on fresh bread, crackers or toast as a snack or use it as part of a light meal. 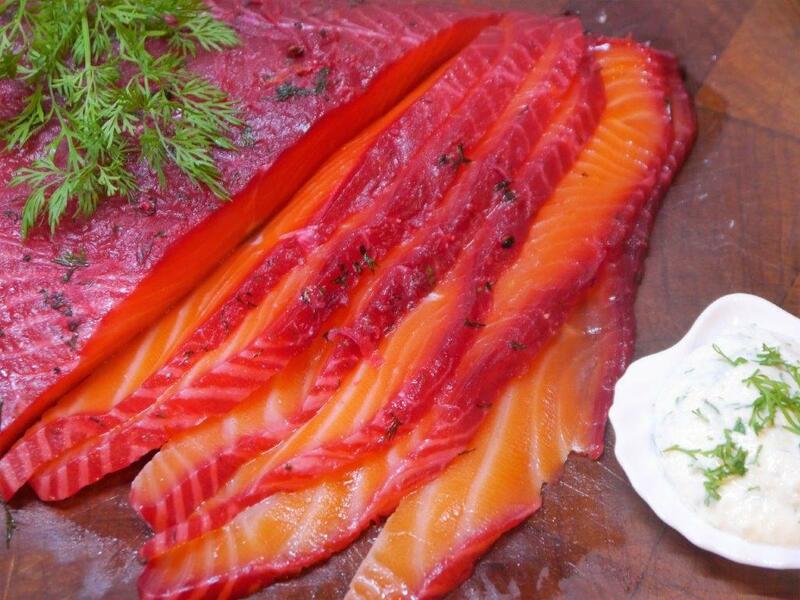 There are lots of versions of cured salmon but I like this one as the beetroot gives the salmon a great colour and the vodka adds to the flavour. 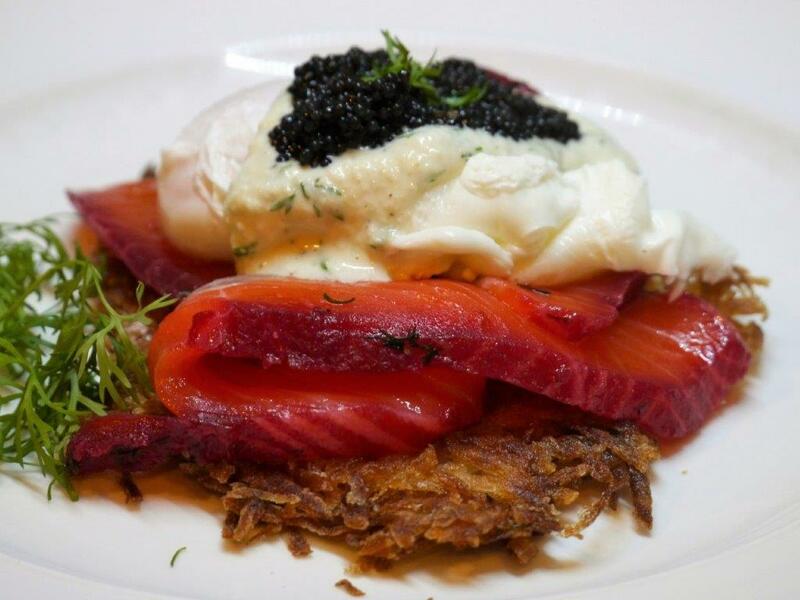 We each had a few slices the other night for a light dinner on a crisp potato rosti then topped with a poached egg, sour cream, horseradish and dill sauce and lumpfish roe. Delicious!! I wasn’t too accurate with the quantities. I used a bit more salt than sugar but you can adjust that to suit your palate. In a bowl mix together the beetroot, salt, sugar, dill, peppercorns and dried dill. Line a baking dish that’s large enough to fit the salmon with two layers of plastic wrap allowing enough overhang to wrap around the salmon. Spread about a third of the mixture on this and place the salmon on top skin side down. Then spread the rest of the mix over the flesh side. Pour over the vodka and wrap the salmon so it’s as airtight as possible. Add more vodka if there doesn’t seem to be enough. Juices will ooze out so don’t worry. If you can, place weights on top do so. Put in the fridge for 3 days turning the salmon from time to time. It will firm up over that time. When you want to eat it, unwrap the salmon, wash it well and pat dry with paper towels. I like to slice it straight down but for finer larger slices cut more on the diagonal. Wrap in plastic wrap to store what’s left in the fridge. Serve with your favourite sauce – I like a mix of sour cream, fresh dill and horseradish or sour cream, de-seeded sliced cucumber and dill or a traditional Scandinavian mustard sauce.